Cloie Skarne is very excited about the Miss Universe-Sweden finals night. 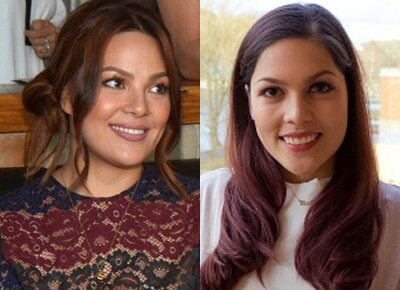 Cloie Syquia Skarne, KC Concepcion’s half-sister, is one of the finalists of the upcoming Miss Universe-Sweden 2016 finals. Cloie, who is back in the Philippines for vacation, took to her Instagram account to share about her newest endeavor as a beauty queen. The Miss Universe-Sweden finals night is happening on August 28 at Café Opera in Stockholm. In what seemed to be a preparation for the tilt, Cloie and KC even posted a photo of themselves working out in the gym. The 22-year-old model’s profile can be found on the Miss Universe-Sweden website where she even mentioned the Philippines when asked the one thing that she wanted to change. In the event that Gabby Concepcion’s daughter with Jenny Syquia gets the Miss Universe-Sweden 2016 title, she would be competing against Philippine bet Maxine Medina. The two would be vying for the crown in the Philippines where Miss Universe 2017 will be held and hosted by Steve Harvey.